I hope you are all doing well and are having a fabulous weekend so far. 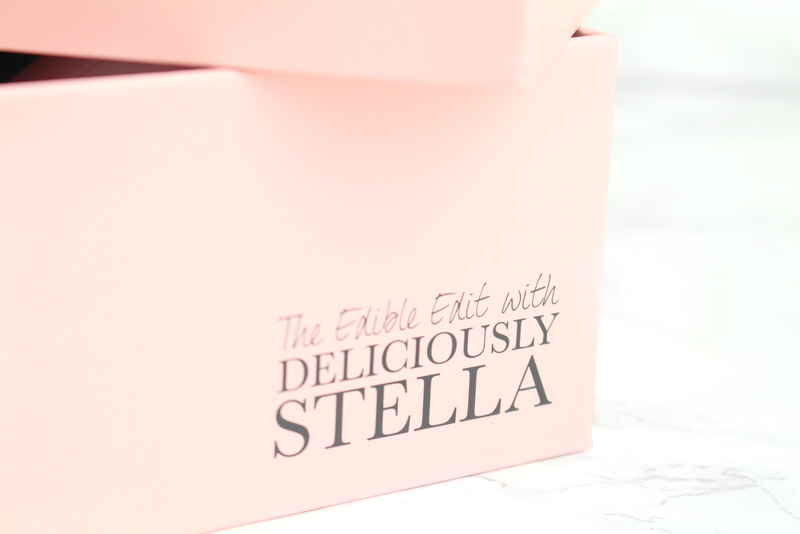 This is my first official beauty post of the year and I thought it was only fitting that I share with you the first Glossybox on 2017; The Edible Edit with Deliciously Stella. This little beauty landed on my doorstep this week and I couldn't wait to share it with you all. I even posted a little sneak peek over on Instagram (@SophiaMeola)! I have reviewed a few different subscription boxes on my blog and I have to say that I really do like them and their overall concept. In some instances you have no idea what is going to arrive in your box and is it almost like a little surprise to yourself. I mean, who doesn't like treating themselves from time to time haha. Not only that but it also offers you the chance to try out some products or brands that you might not have necessarily been drawn to in the first instance...it is a great way to expand your beauty collection and try out some fabulous new goodies! 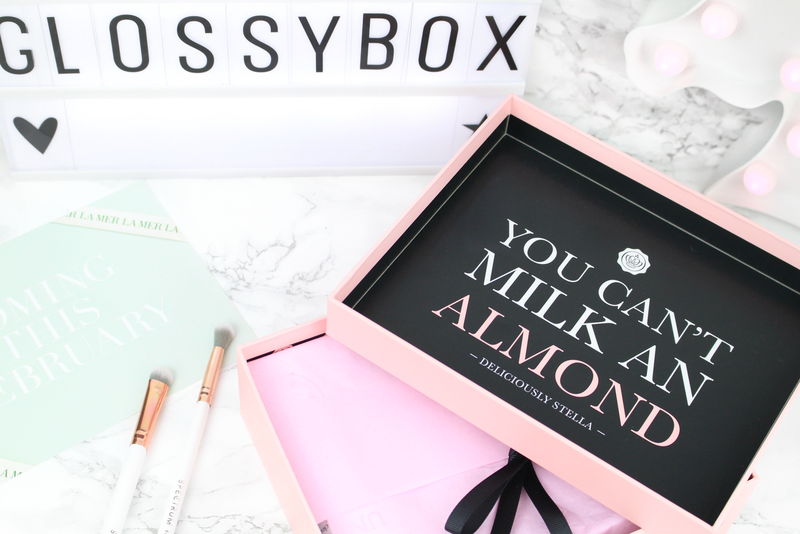 This month Glossybox have collaborated with comedian and Instagram sensation, Deliciously Stella. Shake up the obligatory January detox a bit with 'The Edible Edit' - a superfood inspired box that will transform your beauty regime. I love the overall concept of this months box and the quote on the inside of the packaging is so cute! Lets talk products! First up we have the Nip + Fab Kale Mix Moisturiser - nothing says January detox better than kale! Nip + Fab is a brand I am already familiar with but the product itself is brand new to me. It is a superfood powerhouse of kale, watercress and almond oil and is the only sample size product in the box. The moisturiser enriches skin and protects it against external aggressions from pollution to stress, while concentrated aloe vera and shea butter help to soothe and smooth skin. I really like the sound of this product and I have started to incorporate it within my new skincare routine. So far I am really enjoying it and considering it is packed full of superfood ingredients it hasn't got an intense scent. The second product is the UNANI Illuminate Milk Cleanser - this is a gentle cleansing milk packed full of nutritious natural oils which purify and protect the skin by removing impurities, including makeup, by leaving it feeling soft and recharged. I don't seem to recall ever using a milk cleanser before so I am intrigued to give this one a try. I was extremely excited to see the next product in the box, a Vitamasques Manuka Honey Face Mask. This is a brand I already know about and I am pretty sure Glossybox originally introduced me to them a few boxes ago. I am going to make a conscious effort to use more face masks this year and I am definitely going to be stocking up on this one. This Korean mask is are with extracts of nourishing manuka honey and the triple layer sheet technology - a Korean invention - makes for unbeatable absorption. The final skincare product in the box was the True Organic Sweden All You Need Is Me! multi-tasking and multi-purpose balm. Everyone needs an award-winning balm in their life and this is a natural, organic alternative that is perfect thrown in your handbag on the go. This product is perfect for lipgloss, dry skin and can even be used as a hair mask. I would say this could be an alternative to the ever so famous Elizabeth Arden 8-Hour Cream but honestly, I don't think anything could beat such a cult classic. Finally, but certainly not least we have The Balm Meet Matt(e) Trimony Single Eyeshadow. Believe it or not but this was the first ever The Balm product I have ever tried. I have been lusting after so many goodies, including their famous Meet Matt(e) Trimony palette so it was great to see a single eyeshadow that is actually included in the full palette within this box. Matt Moskowitz is a burgundy tones brown shade and would look gorgeous paired in a smoky eye look. I have blue eyes and I definitely feel this shade would compliment and make them pop! Overall, I really enjoyed diving into this months box, being introduced to some new products and seeing four full sized products. Being superfood inspired the box itself was mainly packed with skincare goodies and one makeup item. I did think the eyeshadow was a little out of place considering everything else complimented each other but never the less I am not one to turn down a beautiful new eyeshadow! 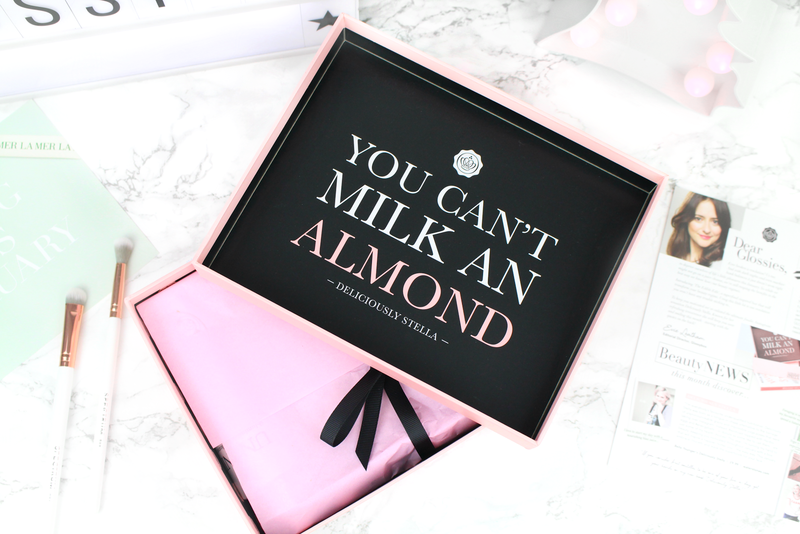 There is a sneak peek at February's box and I am incredibly excited to see what Glossybox have in store for us...especially as it will be their Valentines box! Like always lovelies, if you have any questions, requests or if you just want a chat you can contact me via my social media or leave me a comment below. I love hearing from you all and I make sure to ready every single comment...they really make my day! I adore Glossybox. Have had it for over 2 years now. Love the face mask. I didn't like Glossybox too much when I subbed but it looks like the boxes are a lot better now. I love the tone of that eyeshadow even if it didn't fit in too well with the theme.